Some might suggest that over the last few years, with Trend's inclusion as the A/V function of choice across many Cisco platforms and the NAC partnership, etc., that TM was looking to ultimately get bought by Cisco. It certainly appeared that way to me. Perhaps the dowry was just too great, but it certainly looked like Cisco decided that monogamy wasn't in the cards. When Cisco acquired IronPort, many felt that while they were specifically focused on messaging security, that the technology would be leveraged heavily across Cisco's product lines and the Trend partnership would eventually wane. It's interesting to try and reconcile the commonalities between the two company's product offerings. On the surface, they both claim to do similar sets of things -- even down to the reputation services elements of their products. The IronPort email security appliances are the most sophisticated systems available today. In production at eight of the ten largest ISPs and more than 20 percent of the world's largest enterprises, these systems have a demonstrated record of unparalleled security and reliability. The same code base that powers IronPort's most sophisticated customers is available in all of IronPort's email security appliances, to protect the email systems of enterprises of all sizes. More. The IronPort S-Series™ is the industry's fastest Web security appliance. The IronPort S-Series appliances combine a high-performance security platform with IronPort's exclusive Web Reputation technology and IronPort's breakthrough Dynamic Vectoring and Streaming™ (DVS) engine, a new scanning technology that enables signature-based spyware filtering. Robust management and reporting tools deliver ease of administration and complete visibility into threat-related activity. More. ...and yet exclusing the desktop reach, it's almost identical to what Trend Micro suggests they bring to the party. So if IronPort was supposed to be the content security play for Cisco, does this mean that their adaptabilty beyond messaging was either never in the cards or just isn't panning out as quickly as was hoped? That's not to say that Trend isn't a healthy company, but there was, and is, a lot riding on this relationship. Cisco Systems Thursday unveiled plans to add content security services to its routers via an extended partnership with Trend Micro. 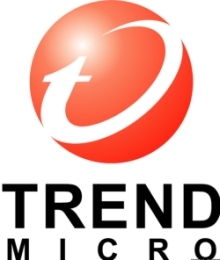 The San Jose, Calif.-based networking vendor plans soon to integrate Trend Micro technology into the operating system of its Integrated Services Routers (ISRs), adding services such as content filtering to its family of branch office routers, said Tom Russell, senior director of Cisco's Security Technology Group. The new offering, which will be available "in the near future," will make it easier for channel partners to build layered security solutions, as the ISR family already supports several integrated security options, Russell said. It will also help push content security out to remote locations, he added. "You need to have content security at the central site, but you also have to distribute it to all of the points in the network," he said. Cisco and Cupertino, Calif.-based Trend Micro have been working together since 2004. Trend Micro content security technology is already incorporated into Cisco's Adaptive Security Appliance family of unified threat management wares. Trend Micro is also a partner in Cisco's Network Admission Control initiative and offers its own Damage Cleanup Services for the Cisco MARS (Mitigation, Analysis and Response System) platform. Interesting, eh? The ASA's were looking like the beginning of a UTM platform of choice for Cisco, but given the popularity of the ISR and the integration of certain WAN/Branch Office functionality (not to mention install base,) this makes sense. So we're back to figuring out where the intersection of IronPort and Trend lays. It certainly seems that this announcement sees the happy couple holding hands again and leaves me more confused about IronPort in the long term now instead of Trend. I also seem to recall that IronPort utilized Sophos' AV engine...perhaps that will/has changed? I continue to go to shows where the IronPort brand (and booth) is still separate from Cisco's and the IronPort website is still brand discrete (albeit with a "...part of Cisco" graphic) which is a little odd. I thought IronPort was going to be the leveraged integrated content security play for them? It wouldn't be the first time I'm confused by Cisco's acquisition integration strategy.